Learn your way around the Server Folders and Hard Drives tab in the Windows Home Server 2011 Dashboard. Learn the who, what, when, where, and why of the Users tab in the Windows Home Server 2011 Dashboard. We’ve covered the installation of Windows Home Server 2011 and installing the Connector software on client computers and if you’ve followed along you are now ready to interact with the server from your client computers using the Dashboard. 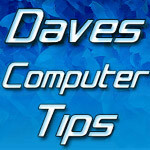 If you’re new to Windows Home Server 2011 now is a great time to jump on the bandwagon! Microsoft has dropped the price to around $60, which is practically unheard of.